United States Navy. 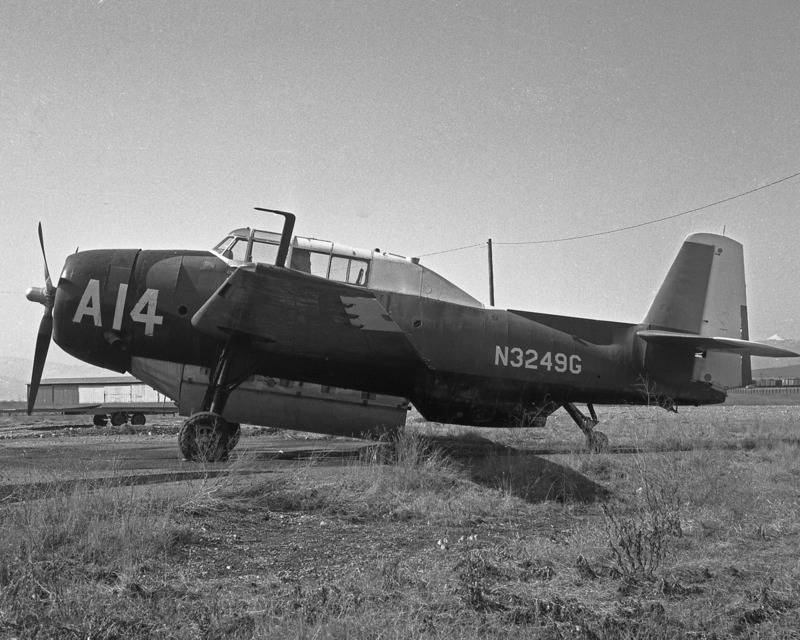 TBM-3. Construction #: 4064. Thomas Costello writes: “I am the bare footed young man in both pictures. My age appears to be the same as other photos known to have been taken in the summer of 1959. I was allowed to let my hair grow all summer but had to be clean cut for school. In the pictures I have a school haircut. School traditionally started the day after labor day which would have been Tuesday September 8 in 1959. This was the day I believe that the Deadwood fire began. I would have been in school until the weekend. From the shadows it appears to me this is late morning. If this were Sunday we all would have been in Church at this time, probably praying for rain. Saturday September 12, 1959 is a reasonable best guess as to the date of these photos. “Both photos came into my possession years ago in a box full of other loose photos when I saved them from my Mother’s trash can, They then survived a fire, a flood, and a mudslide simply because they had not been placed in albums and left in living areas. I was cleaning out some stuff last week and came across the box and found these photos on top. Thanks to your web site I quickly learned the fate of these two TBM’s. Much has been written about the 1959 Deadwood Fire that caused much destruction in Deadwood, South Dakota, in the Black Hills. Apparently four “slurry bomber” air tankers were called in to fight the fire. Two of them, at least, belonged to Johnson Flying Service. 1970 – Pilot Page. 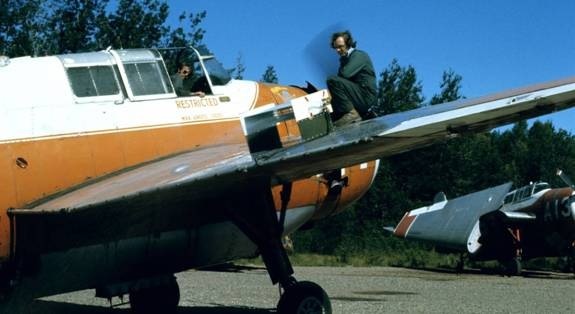 Barrie MacLeod tallied #A14 N3249G at the Fredericton airport, 25 May 1970. 1971 – Pilot M. Owen. 1972 – Pilot Denton. 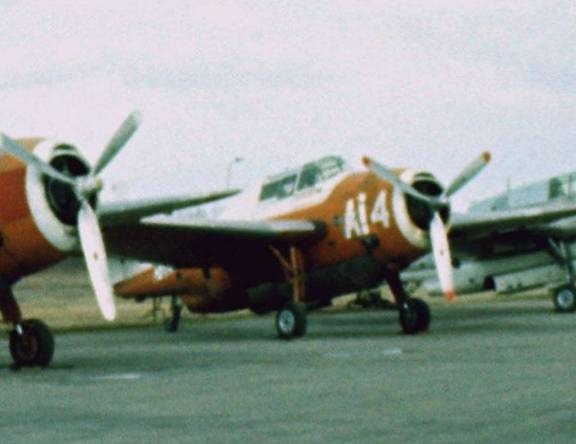 1974 – Johnson Flying Service sold #A14 to FPL. 1975 – FPL purchased N3249G in 1974 from Johnson Flying Service, Missoula, Montana, then dry-leased it from Evergreen Air Services of Montreal. Flew in NB as #A14. Pilot Inman. In late June of 1975, FPL provided GLEN and two other TBMs to the NB Department of Natural Resources for fire bombing. 1976 – Dry leased from Evergreen. Pilot Inman. 1977 – Pilot Inman. 1978 – Crashed 21 June 1978. 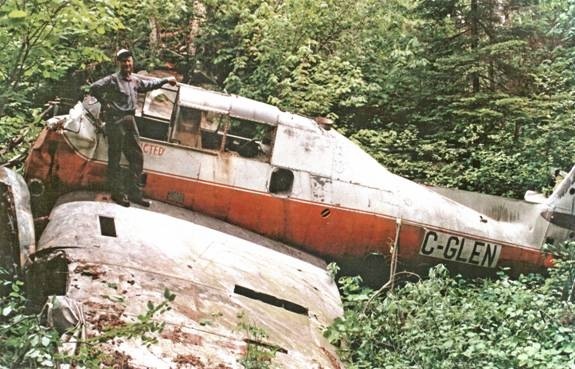 TBM GLEN #14 owned by FPL and piloted by John Inman experienced engine failure and crashed near Forty-four Mile Brook north of the Nepisiguit River (northern Northumberland County and southeast of Caribou Depot). The pilot was unhurt and was later picked up by the rescue unit and flown to Sevogle airstrip. 1995-1996 – GLEN was bought by Atlantic Canada Aviation Museum for $1.00. Volunteers visited the site in September 1995, and found that most of the aircraft was present. Volunteers next visited it on 28 August, 1996, but found that it had been cut up and removed. Only the tail wheel, the engine and part of the canopy remained; the rest had been sold for salvage. GLEN accident report summary received by Fredericton Airport control tower, courtesy Barrie MacLeod. 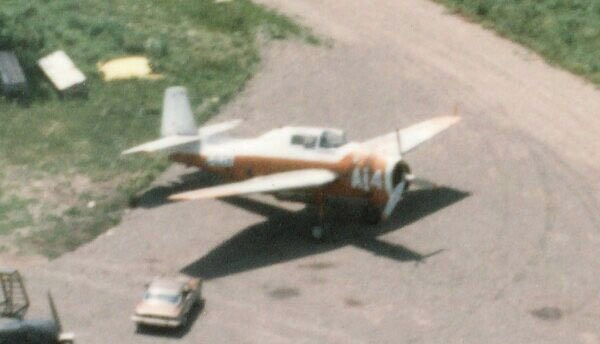 TBM #A14 GLEN parked at Blissville, May 1976. Installing an experimental bi-foil on #A14 at FPL, summer 1976. #A13 GLEL is parked at right. Experimental bi-foils on #A14 at FPL, summer 1976. #A13 GLEL is parked at left. TBM #A14 GLEN at Fredericton, 1976. GLEN crash site, September 1995. 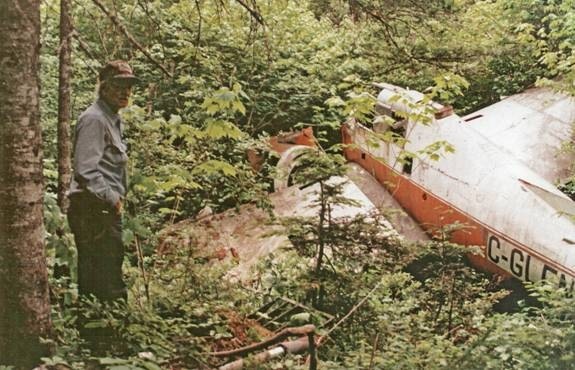 Don Henry at GLEN crash site, September 1995. 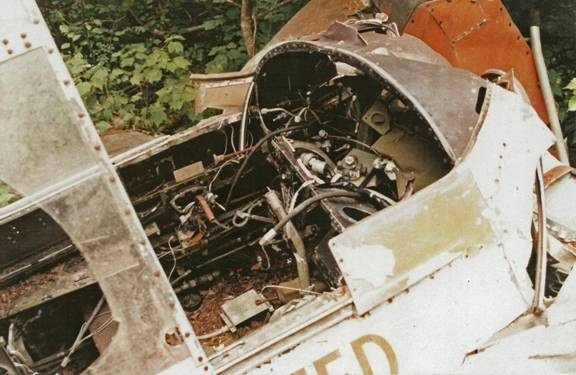 GLEN cockpit at crash site, September 1995. 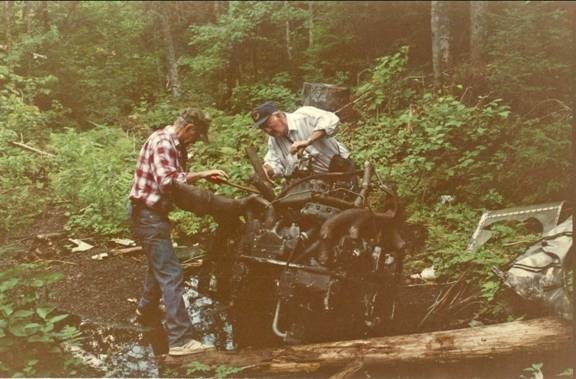 Recovering GLEN’s engine at the crash site, 1996. Not much is left of the aircraft after salvagers removed and sold the metal.